Contact Compliance and Legal Issues regarding special education matters including the identification, evaluation, educational placement, and provision of a free and appropriate public education (FAPE) for a student with a disability or suspected of having a disability under the Individuals with Disabilities Education Act (IDEA 2004). In addition to monitoring all special education compliance activities, the Program Manager of Compliance and Legal Issues oversees the Private/Religious student referral process, the Bilingual Student Assessment Team, the Diagnostic/Prescriptive Student Assessment Team, Special Education Transportation, Autism Waiver, and the TIENET Office. Assisting schools and parents with compliance issues and/or situations regarding students and the special education process. Working with families to provide technical support in understanding and accessing their procedural safeguards under the IDEA 2004. Safeguarding the rights of students with disabilities by providing professional development and technical support to schools regarding compliance and provision of educational services to students with disabilities. Providing professional development regarding special education compliance issues to school administrators, central office and school-based special educators, and related service providers. Developing and conducting internal compliance monitoring activities. Facilitating and assisting with MSDE compliance monitoring activities. Facilitating the processes available to parents to appeal special education decisions related to their child, including mediations, dispute resolution meetings, and due process hearings. In addition, the Compliance/Legal Issues Office responds to Office of Civil Rights (OCR) and Maryland State Department of Education (MSDE) complaints. Recruiting, training, and providing parent surrogates to students without parents the special education purposes. Supporting the facilitated IEP process which provides trained facilitators from the Anne Arundel Conflict Resolution Center to facilitate ongoing communication and collaboration between families and school staff to reach consensus during the IEP meeting process. Parents of students attending private or religious schools must contact the Compliance Office Technician at 410-222-5479 to refer their student to be considered for special education. The technician will open the case, determine the student’s AACPS, send forms to the parent to be returned to the designated AACPS school, and send the school the referral information. When a referral for educational testing is made for a parentally placed student at a Private or Religious School, the special education process is the same as that for a public school student. If the student is found to have a disability and to be eligible for services and he/she remain at the Private/Religious school, AACPS will develop a Service Plan. Bilingual Assessment assists schools with the special education process for students who are English Language learners and may be suspected of having a disability. Interpreters may be needed to assist schools and parents with the special education process and are provided through the Compliance/Legal Issues Office. Interpretation/Translation Services: If the student’s school identifies the parent as having a primary language other than Standard English, the school needs to obtain materials in the primary language and/or arrange for an interpreter or translator, who can effectively communicate with the parent. The school or parents should contact the Compliance Office Technician at 410-222-5479. The purpose of the Diagnostic Prescriptive Student Assessment Team (D/P SAT) is to assist schools with concerns regarding the student, that cannot be solved/resolved at the school level. A request for assistance from the Diagnostic/Prescriptive Student Assessment Team must begin at the school by contacting their (Central Office) Special Education Resource Teacher (SERT). D/P SAT activities may include assisting schools with the special education process, possible identification of an educational disability and appropriate programming as needed. The D/P SAT consists of a School Psychologist, Speech/Language Pathologist and Special Educator. Transportation is a related service for special education when it is required in order for a student with disabilities to benefit from special education services. 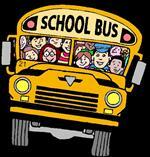 Individual decisions about transportation are made by the Individualized Education Program (IEP) Team. Any specialized transportation and specific requirements are to be recorded on the IEP and are to be reviewed, along with the IEP and placement, on at least an annual basis. The Autism Waiver, through Medical Assistance, will allow eligible children with autism spectrum disorder to receive additional waiver services to support them in their home and community. The Autism Waiver Office is responsible for administering the waiver to eligible families. Services to support the child in the community may include respite care, environmental accessibility adaptations, family training, supported employment, day habilitation (regular/intensive/therapeutic), residential habilitation, and targeted case management. Continual updates/revision and creation of Special Education Forms on TIENET as necessary, to align with legislative updates/State changes. Ongoing Internal Compliance Monitoring to avoid MSDE imposed Corrective Action Plans (CAPS). Internal Compliance Monitoring through the TIENET program to align with state/federal Indicators and State Performance Plan (SPP) and provide technical assistance to schools when monitoring indicates out of compliance activity. Submission and Monitoring of Special Education Child Count and Exit Count Data to MSDE.